The other day during my early morning walk, I heard someone down a street mowing the yard. Then I smelled the sweet fragrance of cut grass. What followed was an unexpected surprise. 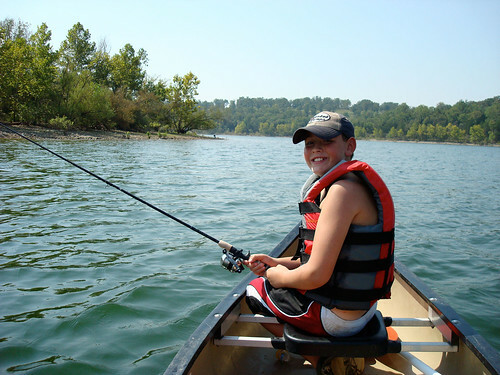 I smelled the exhaust from the mower and it brought me right back to childhood, sitting in a boat with my brother Wayne and Dad, with all three of us holding fishing rods as Dad set the motor at a very low speed to troll for fish. I could almost hear the water lapping up against the side of the boat. I smiled all the way home. 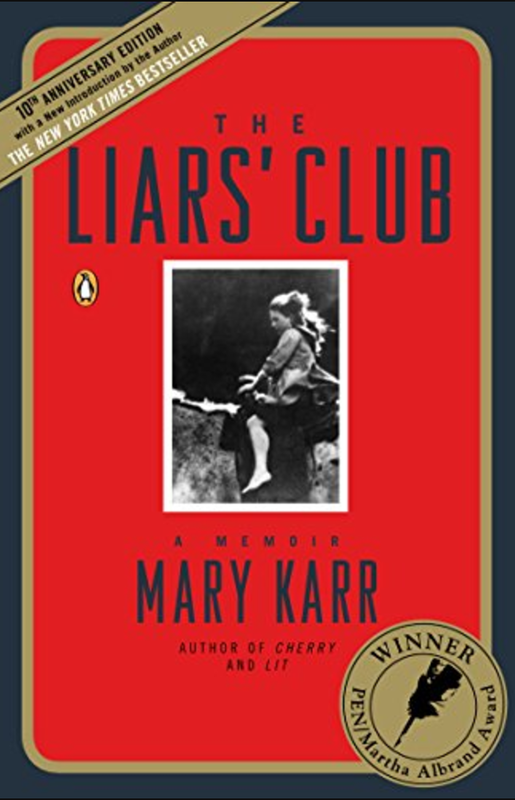 Mary Karr’s The Liars’ Club set a new standard for memoirs when it came out in 1995. In it, Karr tells the story of her well-educated, artistic, alcoholic mother and the uneducated, hard-drinking, doing-the-best-he-can dad her mother married as they struggled with life in east Texas and Colorado. It isn’t a story of a financial struggle; Karr’s father had a steady job and her mother at one point inherits so much money that buying fur coats for both daughter and herself and then living it up for lunch at a fancy restaurant in a big hotel seems almost commonplace. It is the story of the complex relationships we humans get entangled in as we look to someone else to make our dreams possible instead of taking responsibility ourselves or adjusting expectations into the realistic range. The Liars’ Club sets a high bar for wannabe memoir writers. There is a meltdown moment for conflict and drama when her mother’s Nervousness (always capitalized to acknowledge it as a euphemism for a severe mental breakdown) destroys much of their possessions and removes her from the lives of her daughters for many months. But most of the tale is of a slightly unorthodox upbringing of a feisty child and her more traditional older sister. Karr’s father includes the younger in the rituals of his drinking and fishing buddies who make up the liars’ club, exposing her to language and behavior some would consider inappropriate even were she many years older. That Karr addresses everything in her life openly, not hiding behind secrets imposed from outside, provides the charm of the story. The sisters, the author Mary and Lecia (pronounced Leesa), end up fending for themselves from time to time, proving that children understand more than adults around them assume and make adult decisions when the adults around them behave like children. I loved Karr’s story. If you enjoy family stories, especially stories involving secrets adults have chosen to hide from their children, you’ll love it, too.